Fall is here and winter is upon us which means the weather is getting cold. And, with the colder weather comes the necessity of turning the heat on. Although turning on the heat in the winter months is a safe and relatively harmless activity, there are some risks you should always be aware of—and one of them is carbon monoxide poisoning. Carbon monoxide is a colorless, odorless, toxic and flammable gas that is formed when gas or other fuels are not burned fully. People who experience a heightened amount of carbon monoxide in their home become subject to carbon monoxide poisoning. Side-effects are dizziness, nausea, coma, heart/respiratory disease, and in some cases even death. A risk of carbon monoxide poisoning is present any time you turn on your heater or start your fireplace. 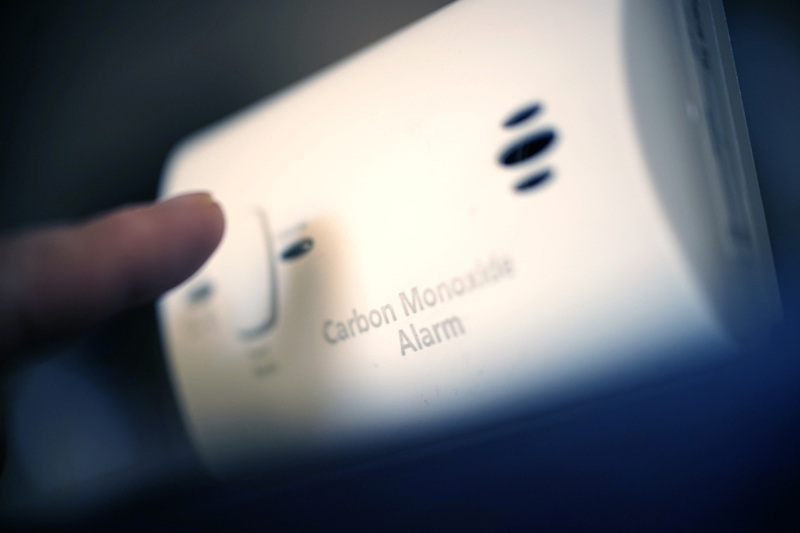 The good news is, there are things you can do to help prevent carbon monoxide poisoning in your home and reduce the risks present to your family. Best practice for Carbon Monoxide Detectors is to check and change the batteries routinely. Experts suggest every six months, and to make it easier to remember, to change them every time you change the clocks. By following this simple rule of thumb, you help to ensure your family will be promptly alerted if something in your furnace or fireplace does go wrong. The best thing you can do to protect your family from carbon monoxide is to have your HVAC vents inspected regularly. If you have them checked every couple of years there will be no opportunity for debris to build up and clog the vent system, which causes CO2. If you have a working fireplace, you need to have your chimney cleaned and checked regularly. Build up of smoke from a fireplace inside of a home can cause CO2 poisoning quickly. If you are looking for help protecting your home from CO2, professional companies like 410-SAMEDAY specialize in vent inspections and are happy to help keep your family safe. Call us today to set-up your inspection!